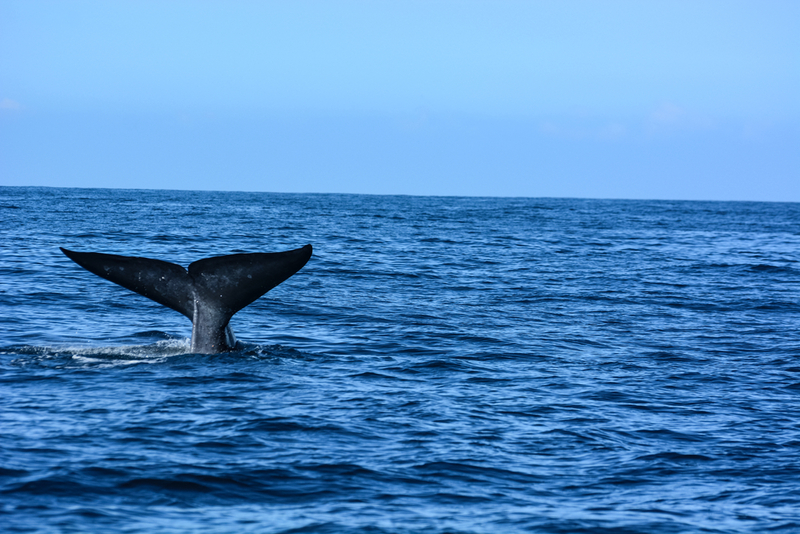 12 shipping companies that participated in the 2018 Protecting Blue Whales and Blue Skies program received recognition on March 6. Representatives from the Port of Los Angeles, three regional air pollution control districts, two National Marine Sanctuaries and a member of Congress and the California State Senate gathered in Wilmington, CA, on March 6 to recognize 12 shipping companies that participated in the 2018 Protecting Blue Whales and Blue Skies program. Those receiving awards for reducing speeds in the San Francisco Bay Area and the Santa Barbara Channel region were: Mediterranean Shipping Company (MSC), Great American Lines (GALI), K Line, Nippon Yusen Kaisha (NYK) Ro-Ro Division, Hyundai Glovis, COSCO, Evergreen, Hapag Lloyd, Maersk, CMA CGM, Ocean Network Express (ONE) and Yang Ming. Leadership from participating and supporting agencies and organizations there to recognize the shipping companies included: Lisa Wunder, Marine Environmental manager at the Port of LA; Aeron Arlin Genet of the Santa Barbara County Air Pollution Control District; Mike Villegas of the Ventura County Air Pollution Control District; and Michael Murphy of the Bay Area Air Quality Management District. Also, Chris Mobley of National Oceanic and Atmospheric Association (NOAA) Channel Islands National Marine Sanctuary; Dan Howard, NOAA Cordell Bank National Marine Sanctuary; and representatives for U.S. Congressman Alan Lowenthal (D-Long Beach, CA) and State Senator Ben Allen (D-Redondo Beach, CA).